An excellent variety for first-time growers, White Skunk will also be of interest to those connoisseurs who know that high quality cannabis genetics can still be obtained at a reasonable price. 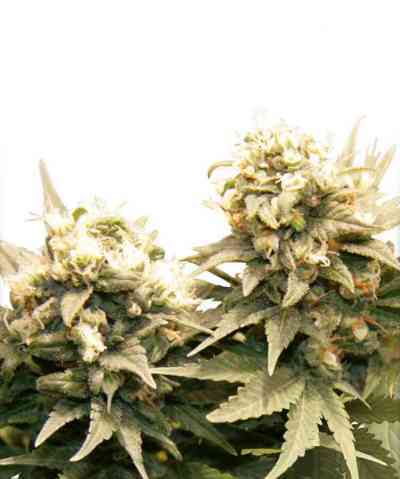 Like all Skunks, this seed-strain is uniform, potent and easy to grow. She retains the Skunks’ rapid flowering time, while her open bud structure reflects the Sativa side of her ancestry. White Skunk’s aroma is an improvement over the ‘typical Skunk’ smell. She produces large buds smothered in resin crystals and infused with a rich, bitter-orange scent that is reminiscent of a fine liqueur.